Construction of agricultural rooms of any sizes. The prices make a reservation. 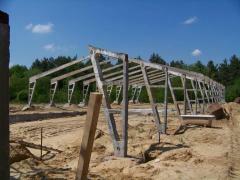 Unbelievable price on Pig-breeding complexes in Kalush (Ukraine) company StalBudMontazh, OOO. Wide choice of quality products at affordable prices.